Today I wish to speak to you on the subject of death and the general mechanics of same. We the Angels of Death are known to you through legends but did you realise we are all your Guardian angels until the moment of your passing. We stands by your side through the light and the dark and when you take our final breath we take you to the light or to where you are destined to work depending on what you have done with your life. When one leaves a body you are transported via an energetic pathway to the realm that is most suited to your vibration. This may come as a shock to you when you arrive there for you create your reality in the other world more than you realise. Therefore we the Angels of Death ensure you are placed in the right Halls of Reflection to be processed rather than where your ‘mind’ feels your should go. For left to your own devices all beings would be in Heaven or Hell rather than where their energy truly should be. The Halls of Reflection are places where you must look at the life you have live so that you can return to your soul group and then your Higher Self. For your Soul group is the first stage of this integration of the knowledge you have gained from your earth life. Once you have reviewed your life and shared your experiences with your Soul group you are then allowed to return to your Higher Self where you no longer are you. This is how many aspects of yourself can engage with your to help you in your current life as well as beings from other dimensions that are also you. For all is Source and Source is you. So there are no boundaries or rules as you who can work with you, only you fear of asking for their help. For the Creator judges your transition and destination not by your deeds on earth but the deeds in your heart and your intensions. We note all that is said and all that is done and if they balance you are allowed to move into a higher realm. If they do not you must return to balance the books so to speak. For all must be in balance in these dimensions only in the dimension for the Divine is the light greater than the darkness. You live in a time of balancing of the books be it through karma or through acts of war or kindness. Be not surprised when we say that certain event will occur to make this world more balanced. Death in a large scale is one of them. For many of you are here under false pretences of helping the world when in fact you are a hindrance to the ascension of the planet and her energetic selves. Those who truly work with the planet do not battle against her natural processes and cycles, but rather work with them. Those who try to force the procreation of animals that have served their purpose or try and feed a nation using breeding programmes and excessive genetic modification of the plant genome will also be seen as unbalancing the Earth mother. 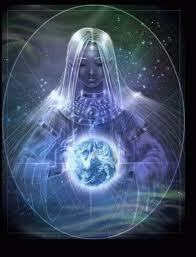 Know that she will ascend with or without you and you will be left behind if you do not do the work. This is why we speak of death. For many people will be passing over before the great time of tallying. For many have heard the call back to the other realm and know that their experiences of the third dimension are coming close to an end. Those who refuse to change will be dealt with harshly, not because they are being punished, but because they will not let this dimension go. Many will die in accidents or wars or acts of violence that are due to their refusal to change their vibration to help the planet ascend or their love of all things third dimensional. You will hear of leaders and activists being taken from this life and energies of another nature replacing them. The time of great change is upon you and many people are being moved around to ensure that the areas that are to be affected by the changes are not polluted by those who do not serve balance. Know that balance not order are what is required at this present time to allow the converging energies of the Earth to settle to a relaxing hum rather than the all-encompassing crescendo of noise that has bombarded her over the last few years. We as that you meditate so that those who are of a lower vibration are repelled from you and sent to those that suit their vibration better. We are not asking to you send people away by force unless they are a danger to yourself and others. However, those who do fit this category will be dealt the instant karma spoke of and many will be know the reflection of their actions very soon. Know that no one can escape this reflection so remain in the light or be balanced so that other to can be balanced around you. For when the next band of energy strikes the earth a wave of disharmony will ensue unless you ensure you are balanced for it will take the form of the other side of the coin of whatever energy you are more in line with. Therefore those of the Light will face the dark and vice versa. But both will create fear unless you are in balance. Some will transcend to the other realms via the pathway of death while others will fight against it until they are forced to balance their energies. All will be in accord with the Highest Good and we mean no harm only balance. We leave you in the Divine Mother’s love.